Is Multiyear Insurance Cover for Two Wheeler Beneficial? Is Multi-Year Insurance Cover for Two Wheelers Beneficial? Are you lazy enough to renew your two wheeler insurance on time? Do you also feel it is a boring task to insure your bike year on year? If yes, then this read is meant for you! To err is human. But, this certainly doesn’t apply in the case of your two wheeler as per the Motor Vehicle Act, 1988. 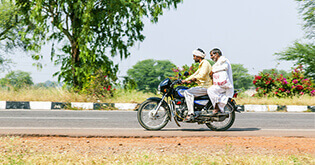 Two wheeler insurance is mandatory for vehicles plying on the Indian roads. If you ride your two wheeler without a valid insurance policy, you had it. 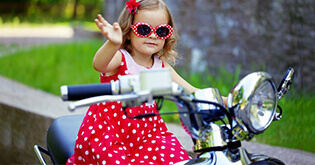 Some feel bored, while some genuinely forget to renew their two wheeler insurance policies on time. Whereas, there are so many who think that buying a two wheeler insurance is simply a waste of time, money and energy! But why take the law in your hands and spoil your own happiness when a multi-year twowheeler insurance can come to your rescue? Let’s have a look how a multi-year two wheeler insurance cover is beneficial. 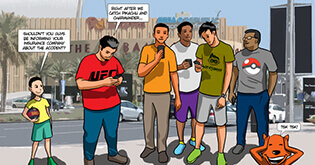 Do you like running for unnecessary risks and hassles? You won’t be able to make a claim in case of an accident simply because your two wheeler insurance policy is expired. It is a complicated process when you miss renewing your two wheeler insurance on time. The process of vehicle inspection makes the entire journey even more troublesome! Why run around the bush when you can buy a multi-year two wheeler insurance and stay away from unnecessary risks and hassles? 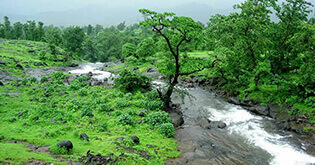 A multi-year two wheeler insurance policy is not like a regular two wheeler insurance policy. It is unique. Your two wheeler is insured for three consecutive years with a multi-year two wheeler insurance policy. This obviously eliminates the head-ache of carrying renewed documents year on year. Do you want to save your hard-earned money? It is a well-known saying, ‘Money is hard to earn and easy to lose. So, try to save as much as possible’. Well, if you are a spend-thrift let me tell you that you can save up to 20-40% upfront on the premium. However, this would be possible only with the help of a multi-year two wheeler insurance policy. IRDA increases the third-party two wheeler insurance premium by up to 20% each year. If you buy a multi-year two wheeler insurance policy, you save from paying the hiked insurance premium every year along with the service tax. Since you lock your two wheeler insurance premium for three long years, you directly save on the third-party price revision cycle. Besides, certain two wheeler insurance companies also surprise you with discounts on purchase of a multi-year two wheeler insurance policy. Do you want to grab a great deal on the NCB? Yes, we know you are an apt and reckless driver. Give a pat on your back. Well it doesn’t end here. Your insurance company will reward you for being a great driver in the form of a No-claim bonus (NCB). To explain in a layman’s language, No-claim bonus is a reward given by the insurance company for the number of claim-free years. If you feel that NCB is applicable only for a regular two wheeler insurance policy, you are WRONG! 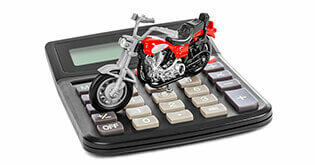 A multi-year two wheeler insurance policy very well takes care of your no-claim bonus. In case you wish to make a claim in a particular policy year, you lose on the no-claim bonus in case of a regular two wheeler insurance policy. But, a multi-year two wheeler insurance policy doesn’t make your NCB fall down to zero. For instance, in case you are eligible for 25% no claim bonus for the next policy period, then a multiyear two wheeler insurance cover will offer you a discount of 25% for the 3 years premium that you pay. Do you wish to be covered longer? As I said earlier, to err is human. 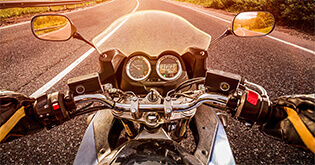 There can be so many instances when you can miss to renew your two wheeler insurance. May be you are out-of-town or probably your pet is unwell. Or some other stuff. Forgetting to renew two wheeler insurance is one thing. But, that certainly doesn’t mean you risk your bike, your life as well as the lives of the people on the road. Buying a multi-year two wheeler insurance would eliminate the annual hassles of renewing the two wheeler insurance policy. Your bike remains covered for three-consecutive years. You remain financially secured for at least 3 long years on buying a multi-year two wheeler insurance policy. You remain stress-free from yearly inspections and renewal reminders for three consecutive years. Don’t wish to stick to multi-year policies? Well, if you feel you are stuck after buying a multi-year two wheeler insurance policy, you are WRONG! In case of a single-term two wheeler insurance policy, you are not eligible for any refund of premium in case of loss/theft claim. But, you can easily cancel the multi-year two wheeler insurance policy any time during your policy tenure. And the good news is, in a multi-year plan the insurance companies also refund you the amount for the unutilized policy period., You can receive a certain percentage of the premium for all the unexpired years. However, be wise enough to buy a new two wheeler insurance policy before cancelling the multi-year two wheeler insurance policy. Do you wish to skip the paperwork? Okay, we know you are not lazy. Rather, you are SUPER lazy! When you opt for a single year two wheeler insurance policy, you get the renewed insurance policy documents every year on renewal. Year on year, searching for the best insurer or the best deal may run you through multiple print outs and lot of research online. Plus, it becomes too monotonous with each passing year. So, if you do not want to fall into this trap of renewing your two wheeler insurance policy each year, you MUST opt for a multi-year two wheeler insurance policy. You will thank us for getting relieved from multiple paperwork! Rather than looking at a two wheeler insurance policy as a mandatory clause, start looking at it as a safety instrument. By opting for a multi year two wheeler insurance policy every year, you save your money as well as time consumed for yearly renewals. So, embrace this facility offered by your insurer and stay insured for a long-term. Multiyear Two-Wheeler Insurance - Benefits Busted!